Skydiving, food poisoning and photographic exhibitions. My wonderful wife and gifted cook went to London for a couple of days. The ingredients for the feast were inadvertently set. Simply add me and some haphazardly prepared chicken breast fillet, thawed from frozen, leaking more juice than a bulging melon suffering water retention. The stomach pain began later that evening. By morning my body was wracked with pain through every sinew, rolling its eyes at itself with hands on hips wagging an accusing finger as it began the arduous task of expelling the invader from all available, umm, ports. It must be said, the human body can be a wholly remarkable thing in the face of adversity, or even idiocy, given the chance. Essentially sidelined by its impressive intervention, I was a mere spectator. I just wish I could’ve also been stood a bit further back. Instead, it dragged me along too, out onto the high seas in a Force 9, breached above and below decks for close on 48 hours. It wasn’t pretty out there, but we finally made it back to the harbour, an arm draped around each other’s shoulder, feeling like we’ve learned something from the experience. 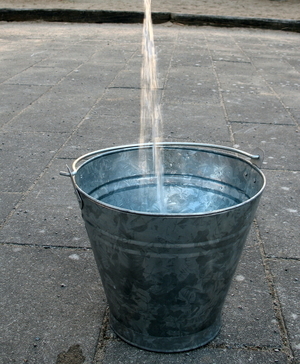 We’ve really bonded, and forgiven ourselves, especially since all the leaking stopped. The moral of this story? If ever I invite you around a for a chicken dinner… wear a disappointed expression and a hazmat suit bearing the logo Nil By Mouth. Altogether a more satisfying Show Of Myself. 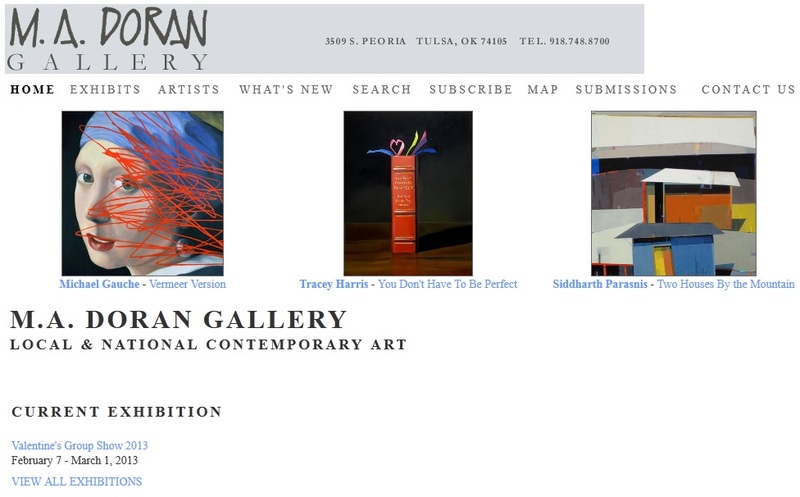 I was really delighted to have another image in the latest MA Doran Gallery exhibition Valentine’s Group Show 2013, deepening and/or broadening my metaphorical American footprint. 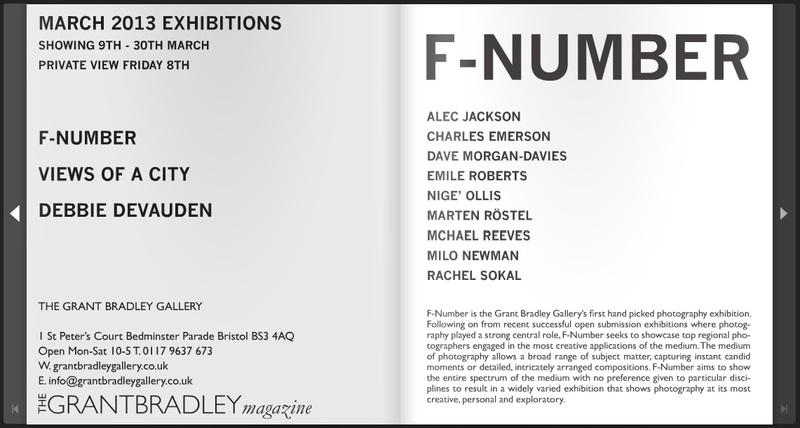 And I can now also confirm my involvement in F-Number at The Grant Bradley Gallery, which opens with a Private View on Friday 8th March 6 – 9pm, then runs until the end of the month. I will be showing 4 images from the Where The Land Meets The Sea series; as well as the [rather gorgeous] large landscape book produced for the joint show in Oklahoma with Michelle Firment Reid and a full set of the companion individual note/gift cards; the large framed version of The Falling Leaf; and a further 20 16″ x 10″ prints culled mostly from my street photography work.